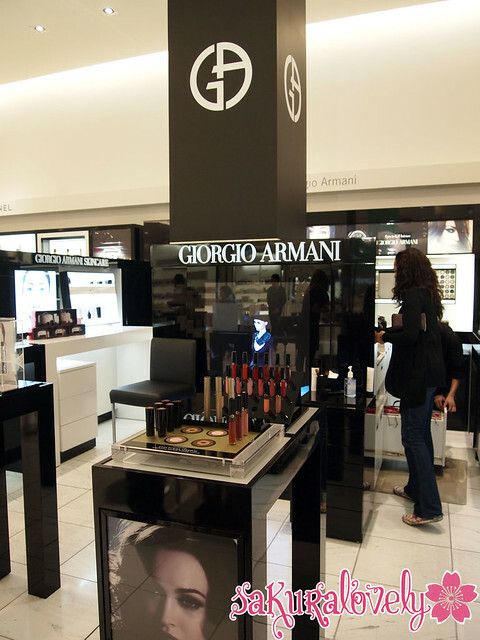 My Armani Counter (and Holt Renfrew) is Better Than Yours! | sakura, lovely. So I may possibly spend a little too much time at my Holt Renfrew for someone who doesn’t even work in the downtown core, but in my defense it’s a nice mall to spend the day at when I’m off during the week since there are enough sporadic free Wi-Fi spots and there’s lots of department and makeup stores for me to while time away in. Last Saturday I was invited to Giorgio Armani’s Runway event celebrating the launch of their new Armani Eyes to kill Stretch Mascara! 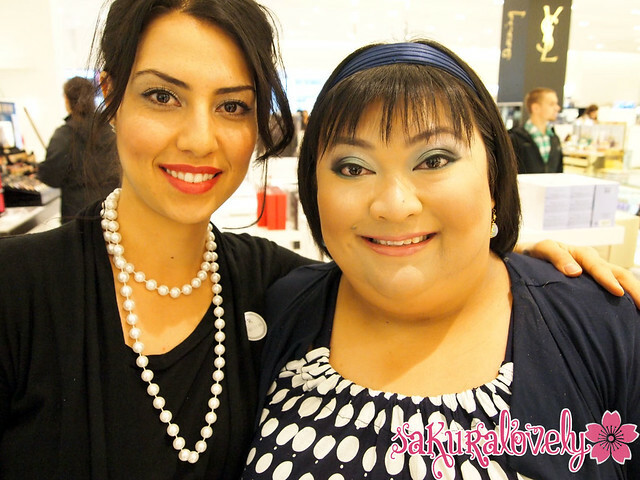 I got to spend the afternoon with the lovely Miriam (above) who did my makeup. As it was Halloween weekend we decided to do another green version of my Envy look! This is my beautiful counter. I adore, adore, adore my GA counter at Holt Renfrew Calgary – I always make a point at stopping by when I’m downtown and the two brand specialists, Rachel and Talia, are always happy to chat with me about upcoming launches, events at the store, and life in general 🙂 I’m so happy to have met these two ladies! A tiny portion of the products used 🙂 As the event was primarily geared towards the mascara, all of the products used came from the permanent line! 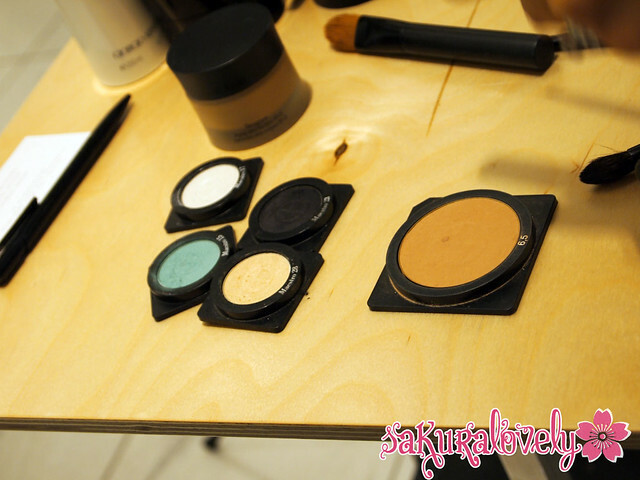 I came completely bare-faced so Miriam applied skincare and primer before makeup. I believe the 6.5 powder is what she used to contour on me! Face of the Day 🙂 Couldn’t tell you exact shades but I think I’m wearing the Designer Cream foundation in this pic. I was surprised at how much I liked the mint-green since it’s not a colour I typically use on myself! My amazing Holt Renfrew counter girls <3. Rachel, Talia, me, and Miriam who free-lanced especially for the event! What a great experience! Love the look! Thanks Jamilla! I really think counter staff can make or break a brand for me! As it stands, Armani has me for life haha. How wonderful 🙂 Love the eye look on you, especially your lashes! Wow! They look like falsies in the first pic!! I know I am SUPER convinced by the mascara – I’ll pick it up once I finish at least 2 other tubes (so in 6 months haha). What a very pretty look! Everything is well blended and you look lovely. The eyes are striking without being harsh; very beautiful. Thank you for sharing. Good counter staff can often make or break a brand for me – my favourite SA *EVER* recently left this Armani counter to work at NARS but thankfully her replacements are just as lovely!